southern california is having a heat wave, while the east side of the country is buried in snow. 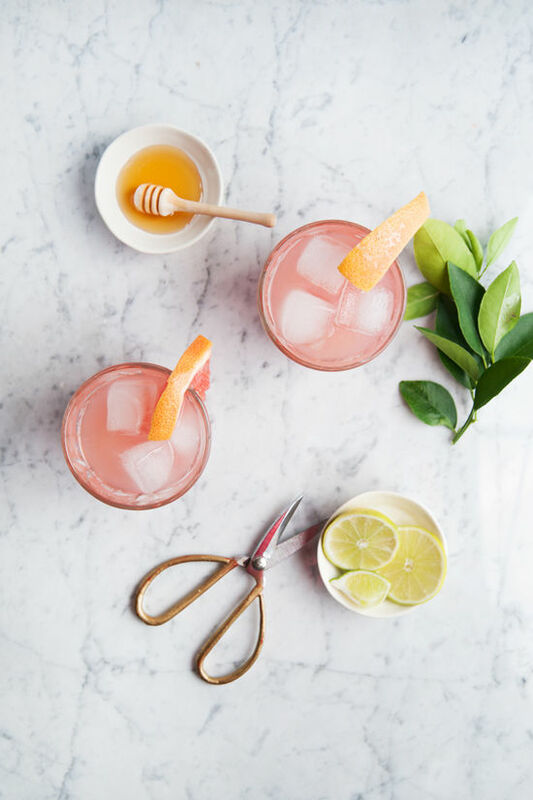 it might seem crazy to be thinking about tequila cocktails but with 80 degree days here in LA we already have spring and summer on our minds. for you east coasters, turn up the heat and pour yourself a drink and remember that spring will be here before you know it…cheers! 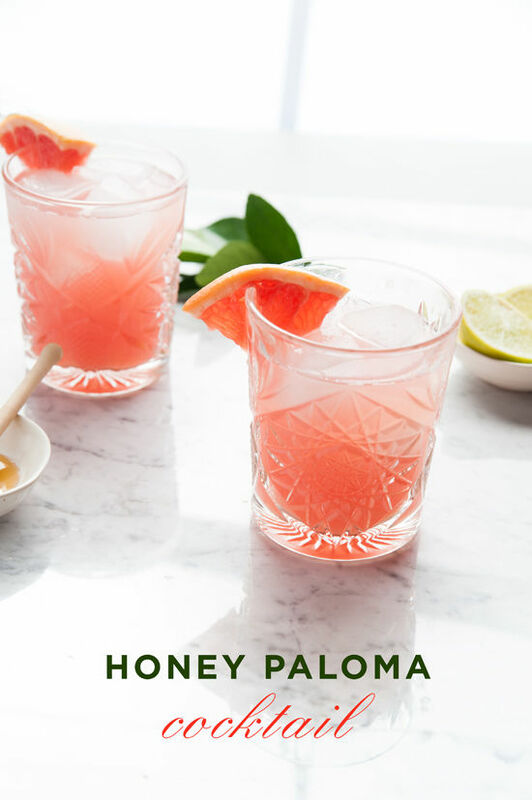 Honey Paloma: in a large measuring cup ( I like to use a 4 cup measuring device for ease of adding all ingredients) pour 1 cup of fresh squeezed and strained ruby red grapefruit juice, mix in the 2 tablespoons fresh lime juice. In a sauce pan combine 2 tablespoons honey with equal amounts of water. Set over medium heat. Stir until honey dissolves. Remove from heat and allow to cool to room temperature. 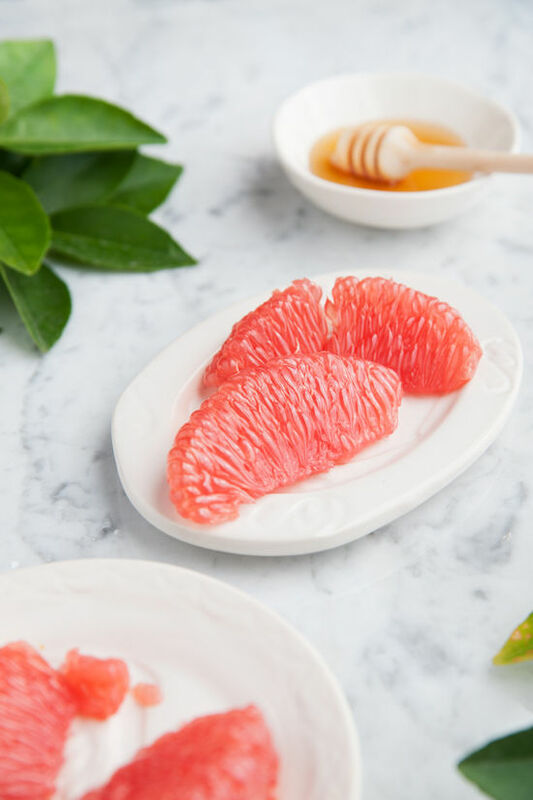 Stir the honey syrup into the grapefruit mixture, add 3 ounces of tequila. 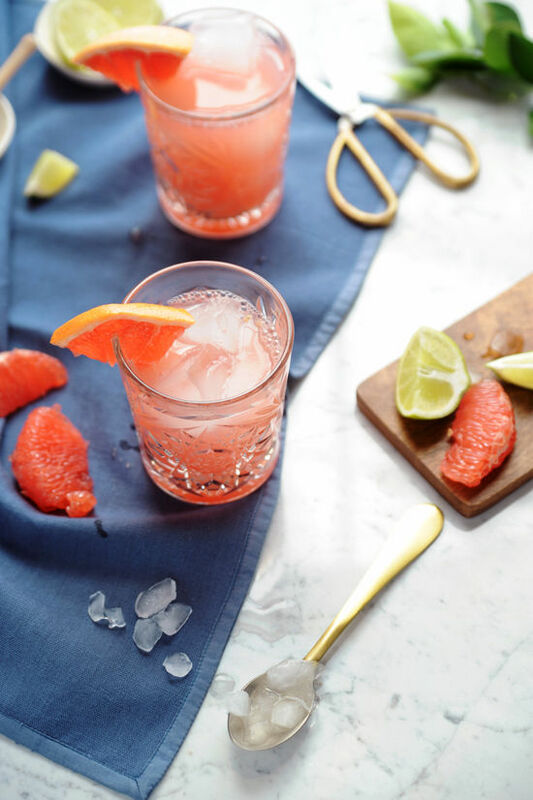 Pour ingredients over two glasses filled with ice, leaving room to top off with club soda. 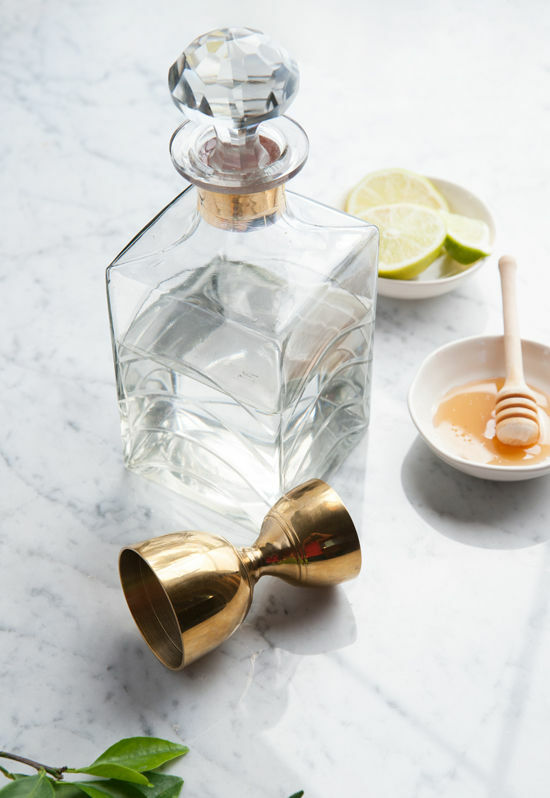 Tequila cocktails are not crazy in Winter. Nada. No way. And this one looks delicious! Could anyone tell me where I can find that amazing gold jigger? Sounds refreshing; must try this! This sounds delicious AND it looks beautiful. I am definitely going to be pinning this for future reference. 😀 Thank you! This looks so awesome! Love the photos! i would pay so many dollars to be sipping this right now. Wow! This drink looks delicious! I can’t wait to try it this week for a dinner party! Thanks for the recipe! I would love to know where to buy these glasses!